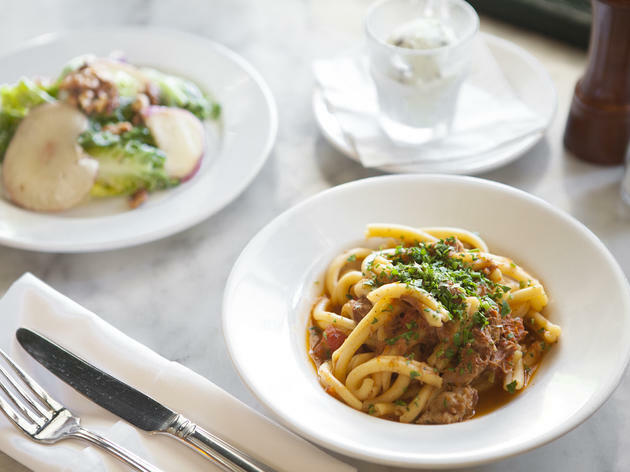 Los Feliz may not be considered one of L.A.’s prime destinations for dining, but that doesn’t mean there isn’t great food found along its streets. 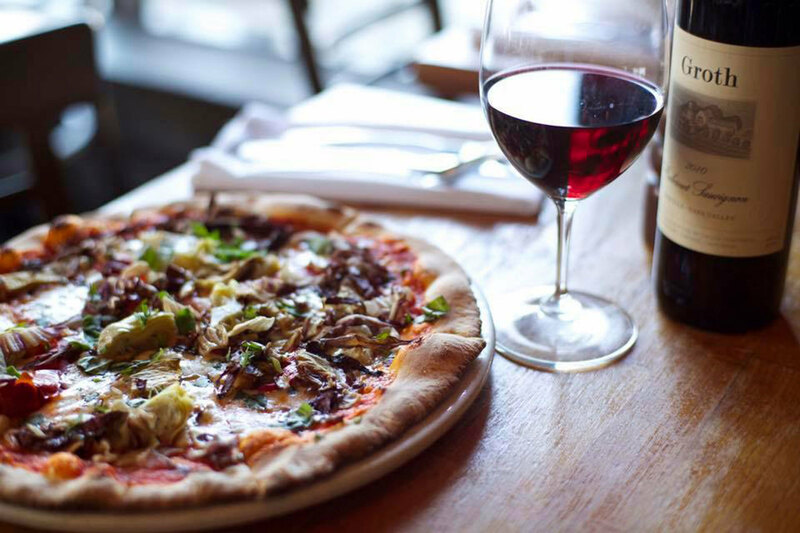 Italian restaurants decked out in red-and-white tablecloths, stands offering fresh fish tacos, and cafés with a vegetarian and gluten-free slant abound, making it easy to cave into any craving that hits. 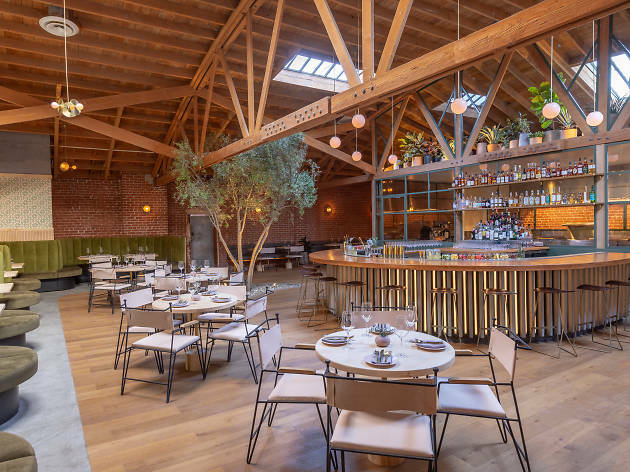 We’ve rounded up our favorite Los Feliz restaurants for breakfast, lunch and dinner—and if you’re looking for a drink or two, consider one of our go-to Los Feliz bars. One of L.A’s most quintessential casual restaurants sits along the Hollywood stretch of Los Feliz. 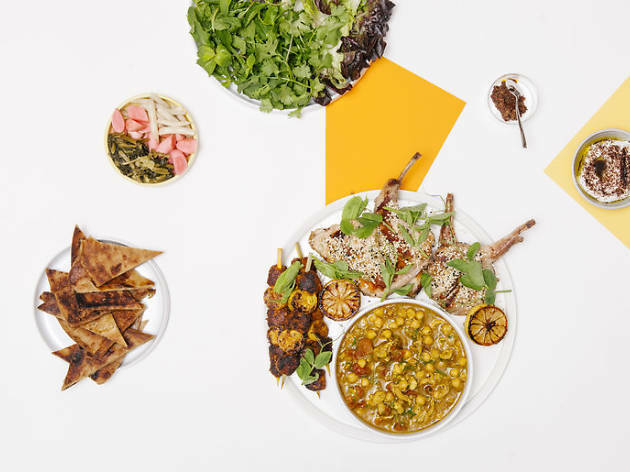 Brought to us by Sara Kramer and Sarah Hymanson—who are also behind Grand Central Market’s falafel haven—Kismet is a Turkish-meets-Persian-meets-Mediterranean option that’s perfect at any time of day. 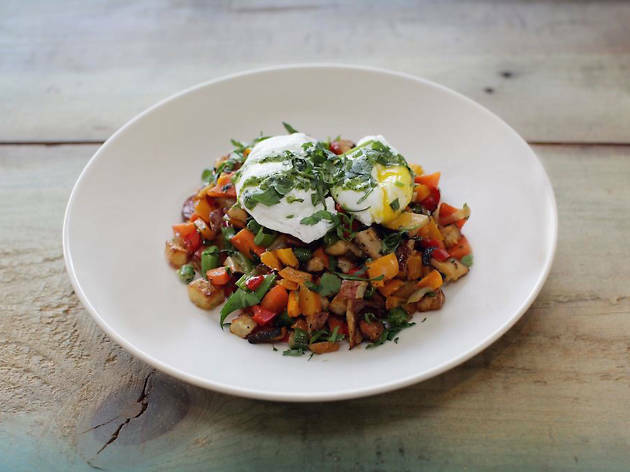 Its menu is bright, hyper-seasonal and health-minded, all while still being delicious and not too fussy. Take, for example, their cult-classic Jeweled Crispy Rice, a dome of basmati that’s fried golden-brown on the outside and topped with seeds, while inside, a rich, gooey egg yolk awaits. 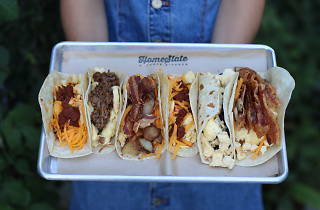 Texans living in L.A. can find sweet Tex-Mex relief at HomeState, where the queso flows freely and the breakfast taco selection is tops. 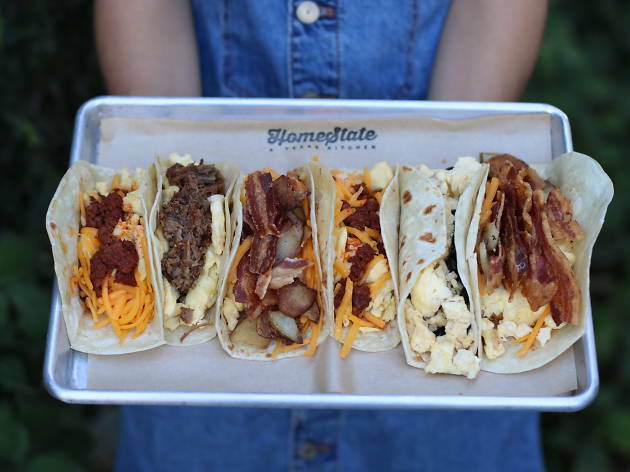 Choose either a corn or flour tortilla then opt for eggs, bacon, cheese, refried charro beans, chorizo, shredded brisket and more. There are migas, too: crispy corn strips with scrambled eggs, onions and cheese. 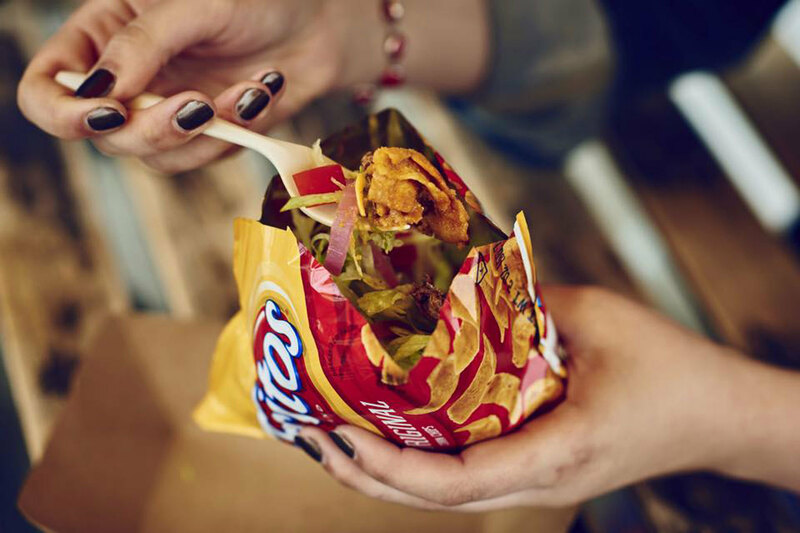 Oh, and then there’s the Frito Pie in a Bag—a heartwarming (and heart-attack-inducing) bag of Fritos slathered in chile con carne, black beans, lettuce, tomato and pickled veggies. Since opening in 2008, this popular neighborhood joint—a younger sibling to the now-defunct Dominick’s in West Hollywood—has stayed bustling with hipsters, young families and celebs alike. 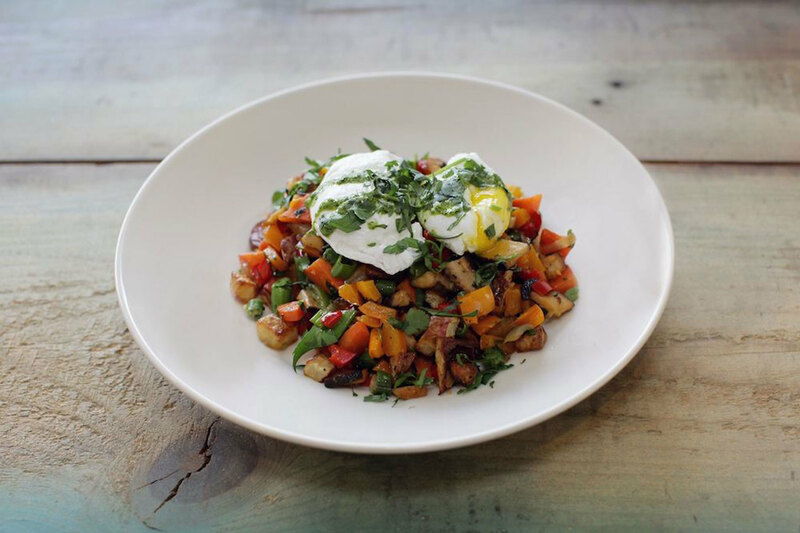 Open for breakfast, lunch and dinner, Little Dom’s offers everything from scrambled eggs with bruschetta to meatball sandwiches to pan-roasted branzino. The ricotta and blueberry pancakes are absurdly good, while the three-course Monday-night supper for $18 is a steal. 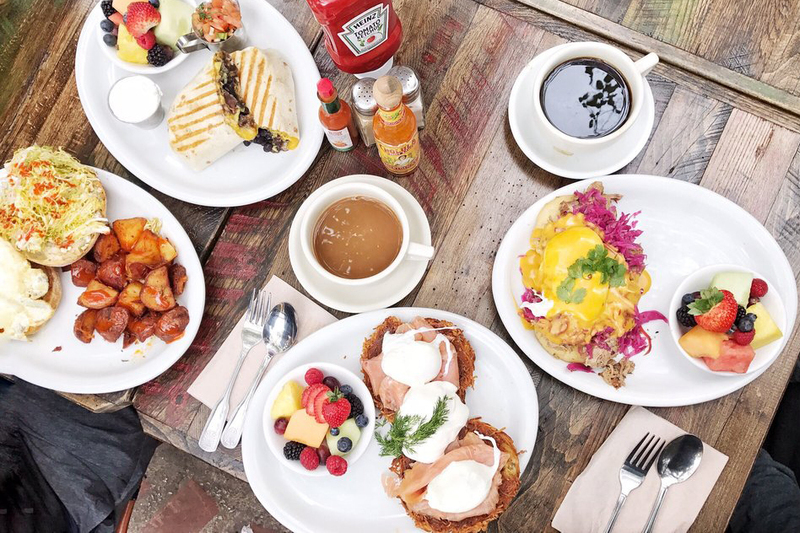 Housed in two historic bungalows, this cottage-like café serves large plates of gourmet American classics—with breakfast items served until 5pm, salads, skillet-roasted chicken, hot paninis and more—loved by locals. Brunch is one of the most popular times to see and be seen here, especially out on that killer patio, so be sure to grab Alcove’s very own chocolate bars and some baked goods from the pastry window while you wait for a seat. The adjacent Big Bar offers hand-crafted cocktails, craft beers and fine wines alongside reinvented bar food, not to mention some of the most fun themed beverage menus in town. 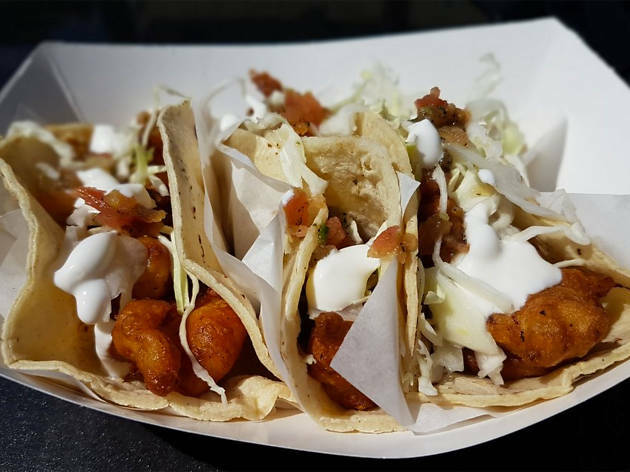 A local favorite, this tiny restaurant offers affordable Mexican eats—from burritos and tacos to tortas and nachos—as well as classic American grub (think: burgers, hot dogs and fries) that draws in crowds looking for comfort food. 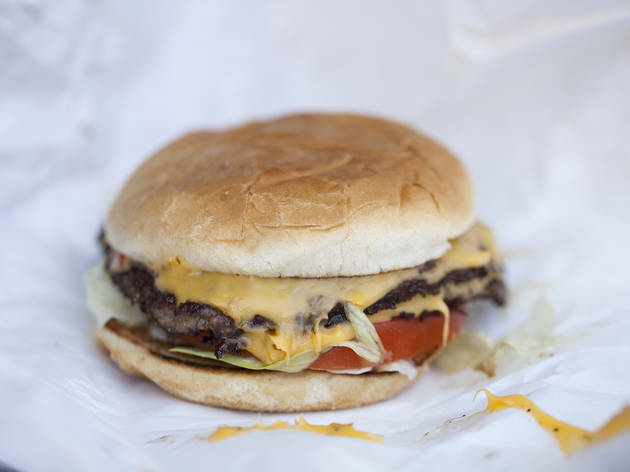 We’re serious fans of their double cheeseburger, a hefty thing of beauty made with two expertly seared patties. Just be sure to grab some napkins. 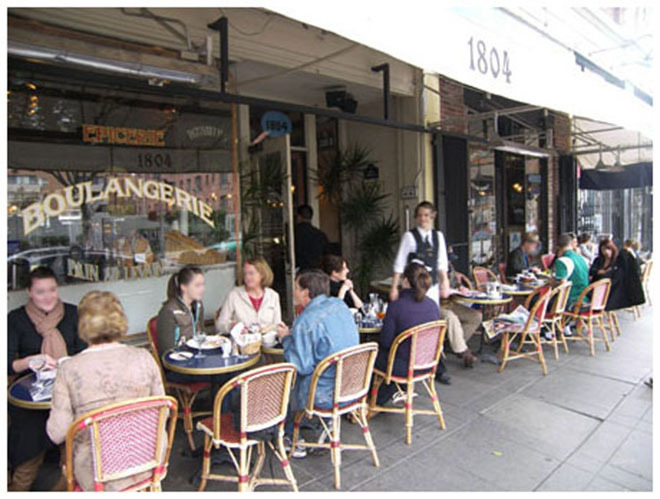 Better known to locals as Café Figaro, this charming bistro transports you to a Parisian café—similar to those lining Boulevard Saint-Germain in Paris, and much like its originators, this spot is ideal for people-watching. The menu boasts classic French fare (think: niçoise salad and escargots) and the relaxed atmosphere is ideal for lazy afternoons and a café au lait, paired with colorful macarons from the boulangerie, of course. It’s cheery and sunny, especially at brunch, and it switches to just right amount of moody and low-lit for evening dates. 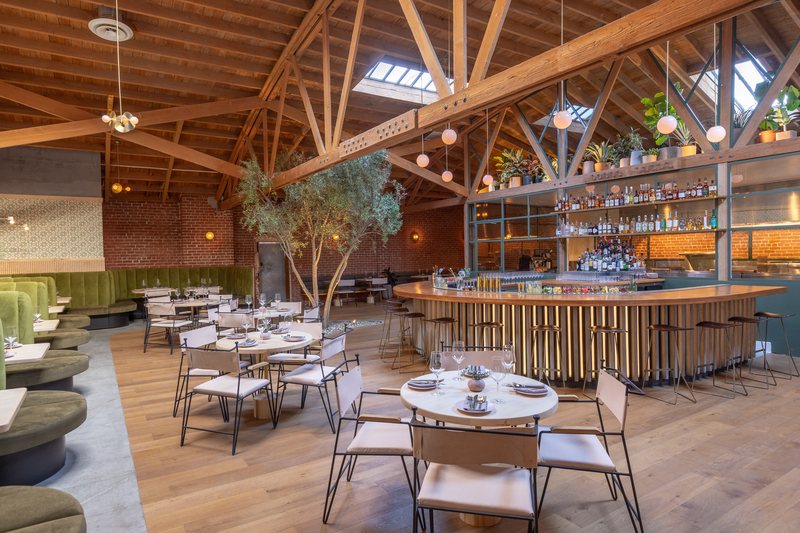 The team behind Silver Lake’s Sawyer, Scout and Kettle Black touched down in Los Feliz with a sprawling indoor-outdoor restaurant that features an eclectic menu and one of the prettiest dining rooms in the neighborhood. The best move is to come with a group, so as to find and sample a little something for everyone—though we’re more than partial to the carne asada beef carpaccio and the katsu-style bone-in pork shop. Culture-crossing, contemporary cuisine is the name of the game here, as is a cocktail menu that leans fruity and tiki. Whatever you pick, just be sure not to skip dessert—especially not the lemongrass custard. 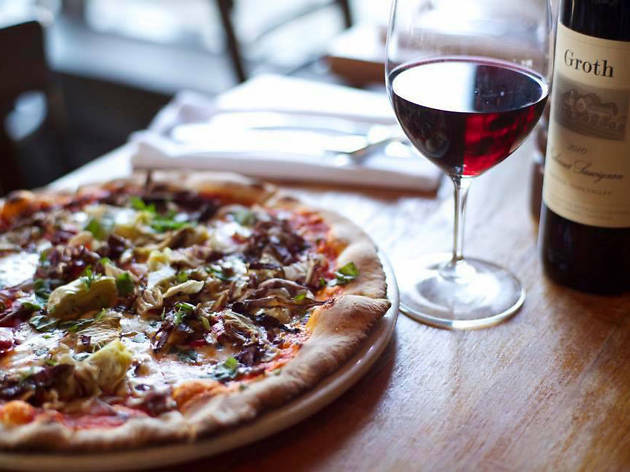 When you’re feeling like it’s a carbo-load kind of night, Farfalla comes through with pastas, pizzas and thick slices of bruschetta-topped pizza crust. 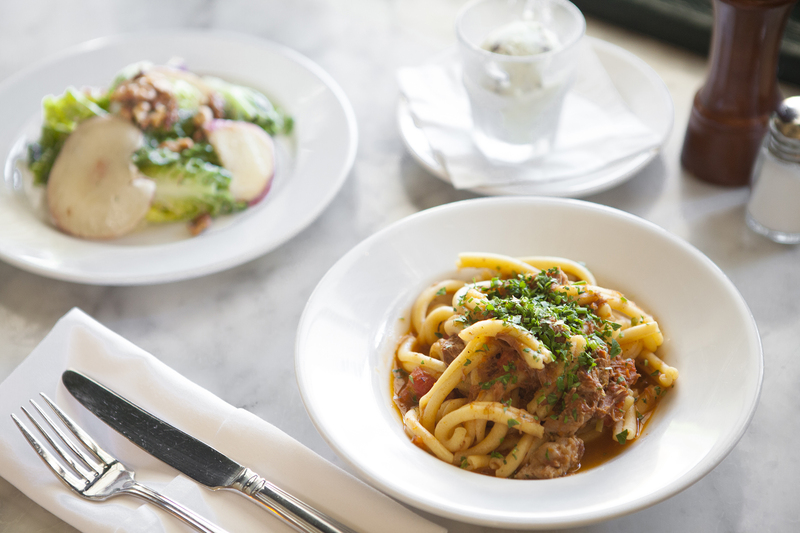 The tried-and-true Los Feliz eatery is rife with old-school Italian favorites, like pasta e fagioli, chicken marsala and gnocchi di patate. There’s a sizeable wine list as well, with house selections starting around $7. 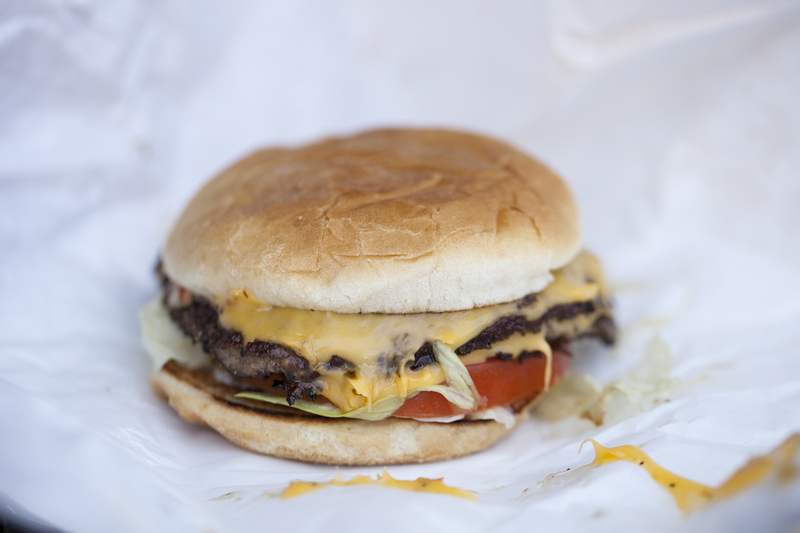 Photograph: Courtesy Courtesy Yelp/Julien B. If the name doesn’t tip you off, Best Fish Tacos in Ensanada serves some pretty damn fine fish tacos. Are they the best? That’s up to your own discretion, but we know people who will defend that statement to the death. 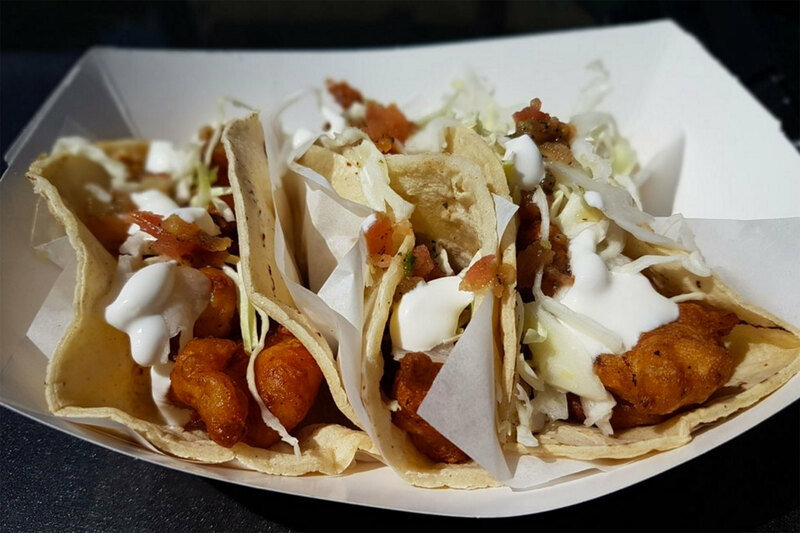 The small, colorful eatery with a thatched patio feels like a tropical break from the busy streets of nearby Hollywood and Hillhurst, one where the menu is simple and to the point: fish tacos for $1.95, shrimp tacos for $2.50 and drinks for $1. The theme at MessHall? Glorified summer camp food, with the intention to improve upon all-American comfort food favorites—turkey kale chili is served with fresh cornbread, smoked corn fritters are garnished with a poblano and pumpkin seed romesco, and the fried chicken sandwich does justice to the city’s dish of the moment. 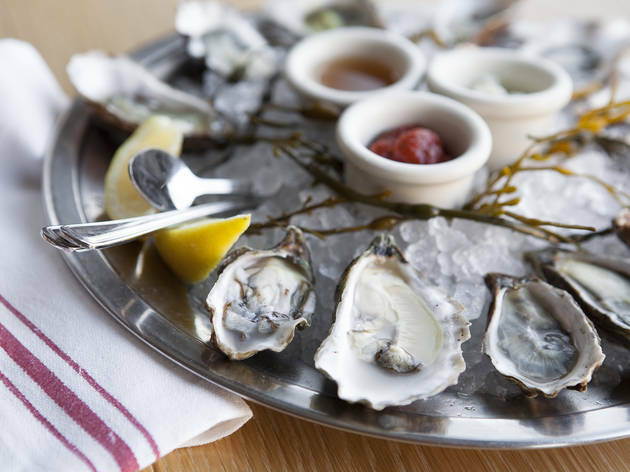 Oyster fanatics will be happy to know that MessHall also has an excellent raw bar, stocked with plenty of bivalves, ceviche, shrimp cocktails and tuna tartare. 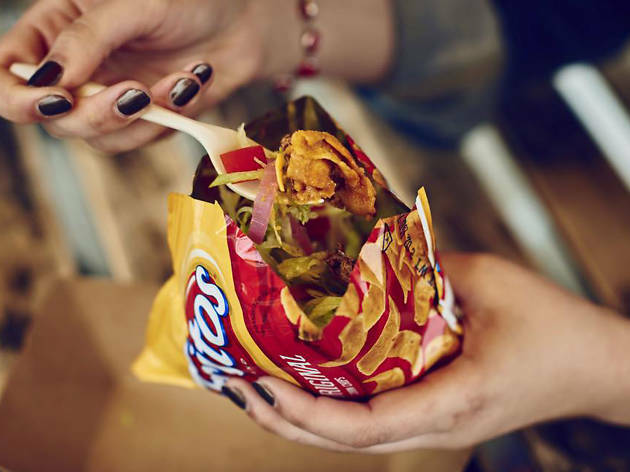 Bringing Turkish street food to the city of L.A., Spitz has swiftly become a go-to place for killer döner kebab, especially in Los Feliz. 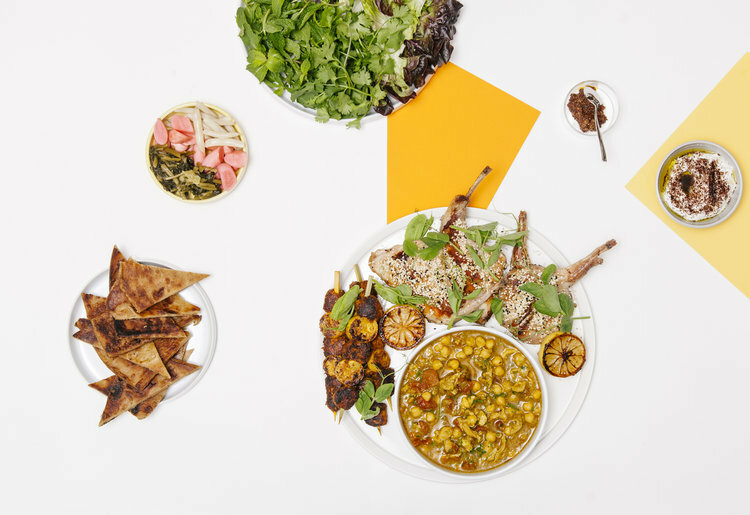 The chain is located here, as well as in Little Tokyo, Eagle Rock and Studio City, and boasts a casual, colorful environment where you can tuck into a hefty Mediterranean plate with döner, hummus, falafel and more. 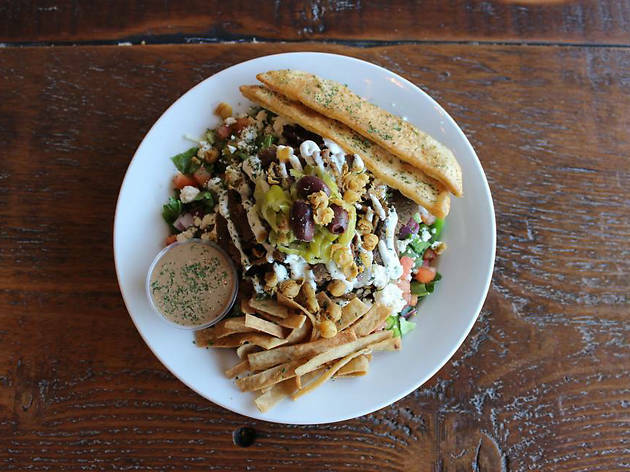 Make sure to order their famed Street Cart Fries, topped with garlic aioli, feta, green onion, tomato, olives and pepperoncini. 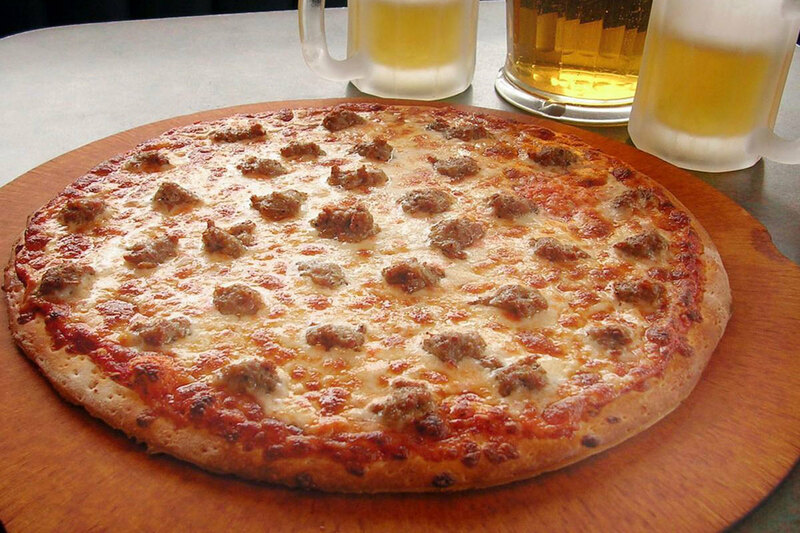 When the cravings for comfort food strike, Palermo’s is a necessary stop for pizza, pasta and veal parmigiana. 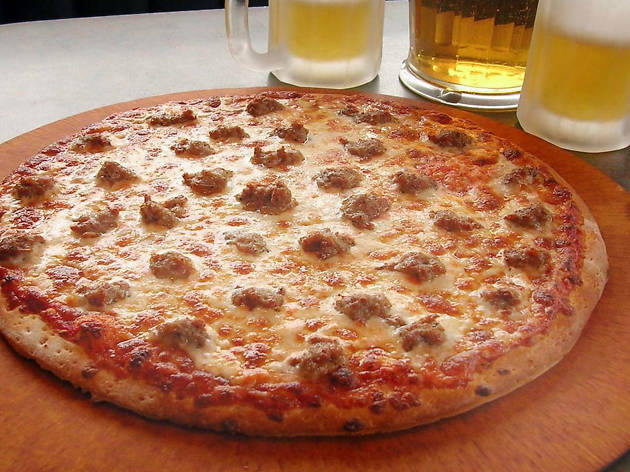 Regulars—and there are a lot of ’em—are fanatics about the Pizzarosa, thick slices of bread topped with melted feta, mozzarella, parmigiano cheese and fresh tomatoes. It’s both a cozy spot for dates and a family-friendly joint; just make sure that you come hungry and prepared to leave stuffed to the gills. Part market, part cafe, Stamp Proper Foods is a one-stop shop for both picking up and eating healthy meals. 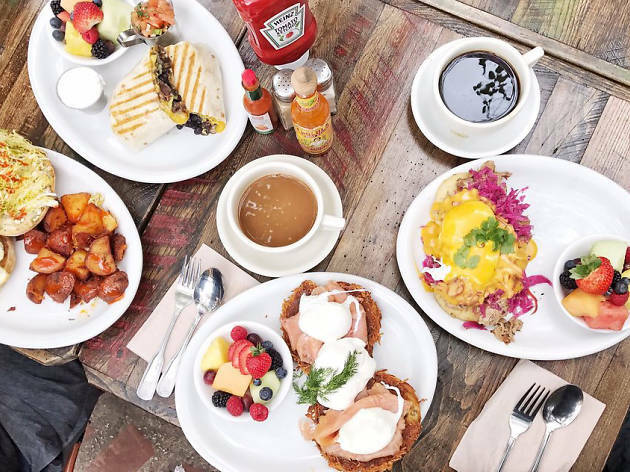 Breakfast is served all day—think molé omelets, vegan chilaquiles and avocado toast—and there are sandwiches, soups and salads offered throughout the rest of the day. 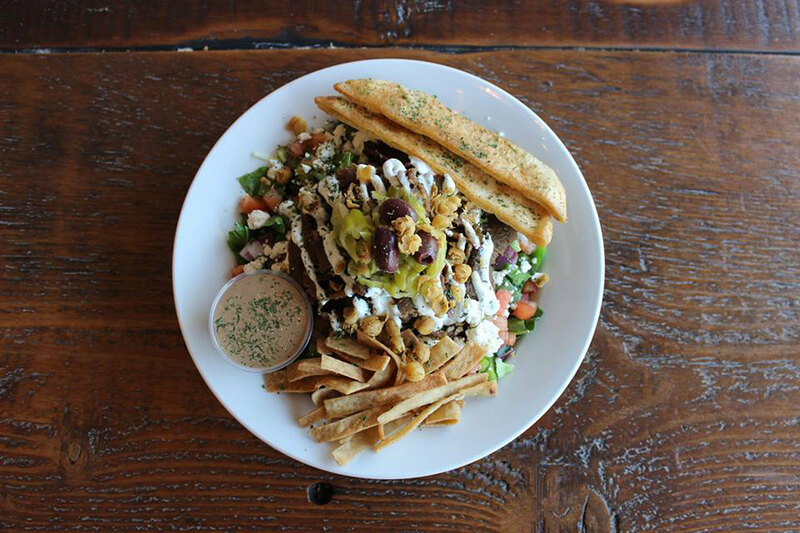 Gluten-free, vegan and vegetarian diners have plenty to choose from here, whether it’s a roasted sweet potato sandwich or a raw zucchini linguini salad. The market serves healthy chips, granola bars, teas and other snacks. In the mood for oysters? 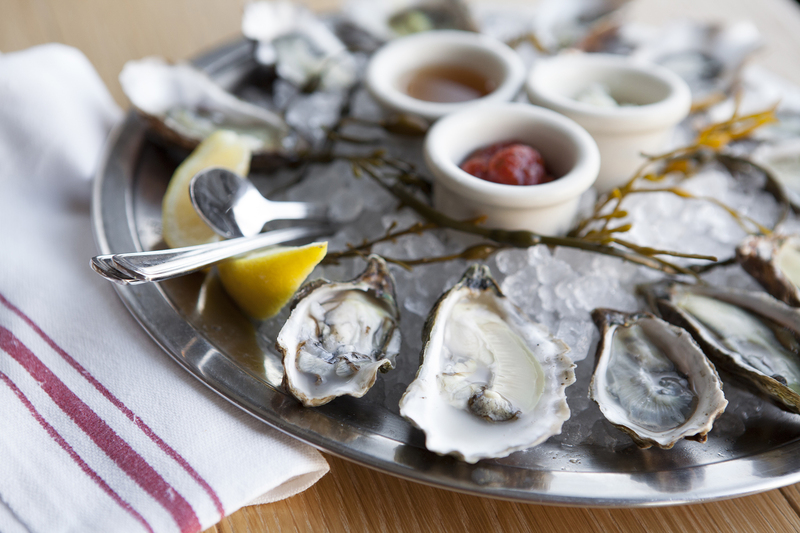 Some of our favorite Los Feliz restaurants have a stellar oyster selection.